Even the most modest person will probably be a little proud to be called talented. This is presumably even more true when this kind of acknowledgement is not going on behind closed doors, but made public in the magazine Talent100 published by Berlingske Business. 34 alumni from CBS will today be able to open the magazine and see themselves portrayed among Denmark’s young top talents of 2016. In addition to the 34 alumni who have taken their primary degree at CBS, three alumni have supplemented their education at CBS. The new talents, however, should not rest on their laurels for too long, says Berlingske Business Editor Peter Suppli Benson in today’s editorial. - (...)Being talented is just the beginning, a platform to build upon. After that, it is hard work, support from one’s network - and development of the talent - which can make the talent unfold for real. He points to the fact that a so-called reverse “brain drain” is taking place in the Danish corporate sector at the moment - meaning a net immigration of highly educated labour to Denmark. So the talents should not assume that they are only competing against each other or other Danish candidates in the future. However, the increased competition will only benefit the Danish corporate sector, public institutions and educational institutions - and of course the talents, explains Peter Suppli Benson. - I am thrilled about this development, and it is necessary if companies are to operate in a global context and maintain their distinguished Danish competitiveness. To the talented young people, however, it means a more fierce competition, which is not bad at all. It is alone the size of the talent, which limits their capability. Berlingske Business has published the special issue Talent100, which is placing focus on 100 young talents under 35. 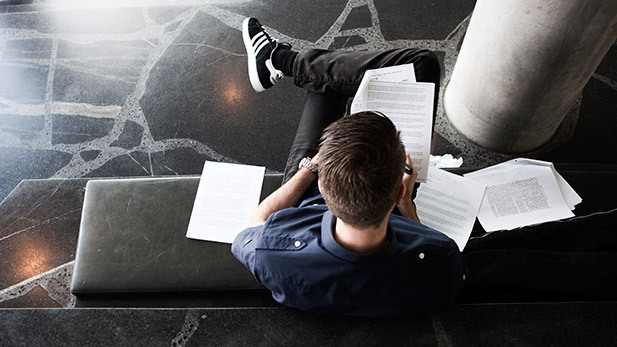 The talents are nominated by companies and other stakeholders, and Berlingske Business will then select the 100 talents on the basis of motivation, CV and age.